What Is a Plasterer's Trowel? A plasterer may use several different trowels to achieve the desired effect. Trowels are often used to plaster ceilings. A plasterer's trowel is a tool used to apply plaster finishes to a wall or ceiling. This plaster generally takes the form of a wet gypsum-based mixture, and can be applied using modern veneering or traditional plastering techniques. The plasterer's trowel allows the user to apply this paste-like material over drywall or lathe systems to create plaster walls, ceilings, and other surfaces within a building. While the plasterer's trowel shares some characteristics with other types of trowel models, it also incorporates special features to help the user create a smooth, attractive finish. In traditional plastering, workers apply wet gypsum over a series of wooden strips known as a lathe. Today, this lathe has largely been replaced by a special form of drywall called blueboard. The worker mixes the wet plaster, then uses a large palette, or hawk, to transfer the wet plaster to the wall. He then relies on special plasterer's trowels to spread, smooth, and refine this plaster to create the desired finish. Some of these trowels are even designed to add texture to the wet plaster to give the wall a unique appearance. For basic plastering jobs, workers use a rectangular float plasterer's trowel, which features a handle attached to the back. Others may prefer a similar tool known as a margin trowel, which features a handle attached to one end of the trowel rather than the back. To plaster the edges or corners of a surface, users reach for a edging trowel, which features a narrow, v-shaped tip. Gauging trowels are used for finish work, or texturing. This plasterer's trowel incorporates rounded edges, which helps the trowel glide more smoothly along the surface of the wall. This rounded profile also makes it easier to pick up plaster on the edge of the trowel, and to spread it very thinly to create exactly the right finish. Manufacturers produce these plasterer's trowels using a variety of materials to help users balance quality and budget. Carbon steel is generally the cheapest trowel material, followed closely by stainless steel. While stainless steel units offer a slightly longer life and greater rust-resistance, both of these materials require breaking in to smooth the edges prior to use. 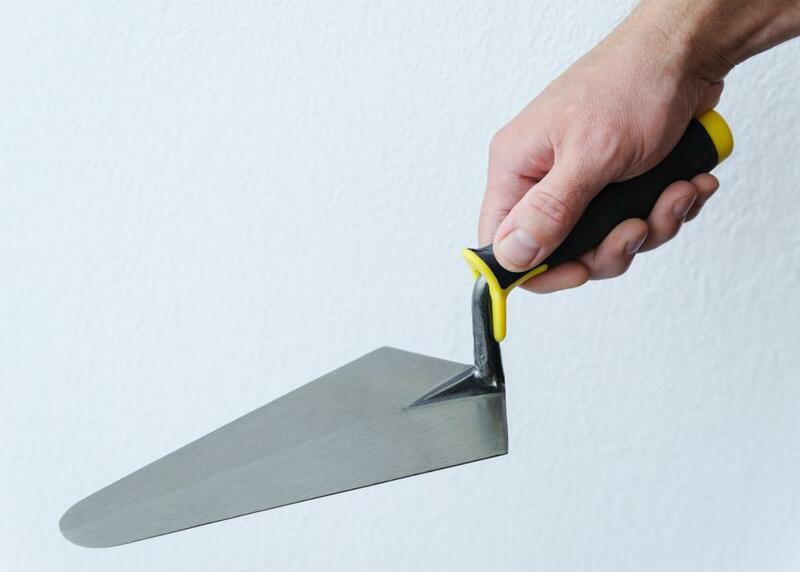 Pre-worn stainless steel trowels cost more, but feature machine-worn edges to keep sharp edges from cutting into the plaster wall. Pre-worn gold trowels are the most expensive of all, but generally offer the longest life and highest level of performance. What Are the Different Uses of Plaster? 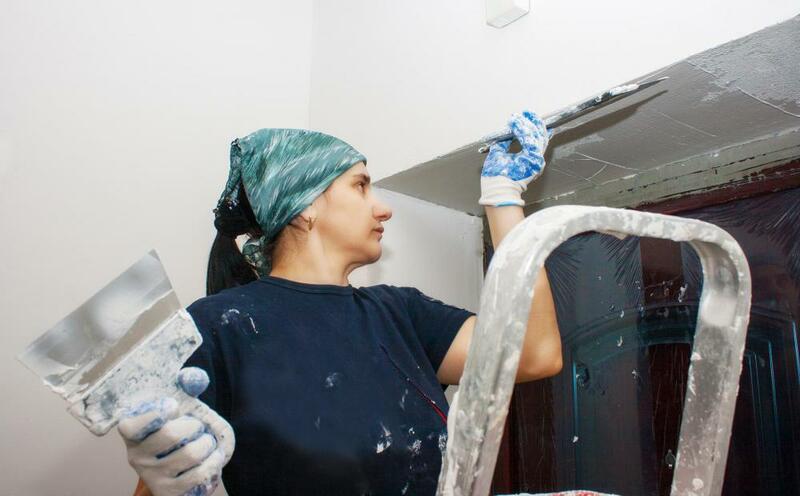 How Do I Choose the Best Plastering Materials? How Do I Choose the Best Drywall Trowel? How Do I Become a Plasterer? What Are the Different Types of Trowel Machines?